The new Porsche Boxster has arrived and this time it promises to not only have the same market-leading driving dynamics it has always had but finally combines these with the looks that the car always deserved. Fancy a mini Carrera GT? Well read on as this could well be your chance! Back in 1993 in the middle of a winter storm in Detroit, where journalists and auto executives huddled into a motor hall and shivered to stay warm, Porsche launched a concept car that instantly turned the interior temperature from ice cold to hot, hot, hot. Here was a concept that captured the sense of occasion of the original Porsche Speedster in the 1950s. It was a slither of a two-seater with perfect dimensions and exquisite interior detailing. Some years later (1996), Porsche launched the Boxster, the car on which this concept was based. But, hang on, there seemed to be a breakdown in communications because what arrived was a concept car that had eaten all the pies with a not very successful push me/pull me profile design. Not even its superb driving dynamics could make up for this design let-down and it was perhaps unfairly christened as a ‘hairdresser’s car’. 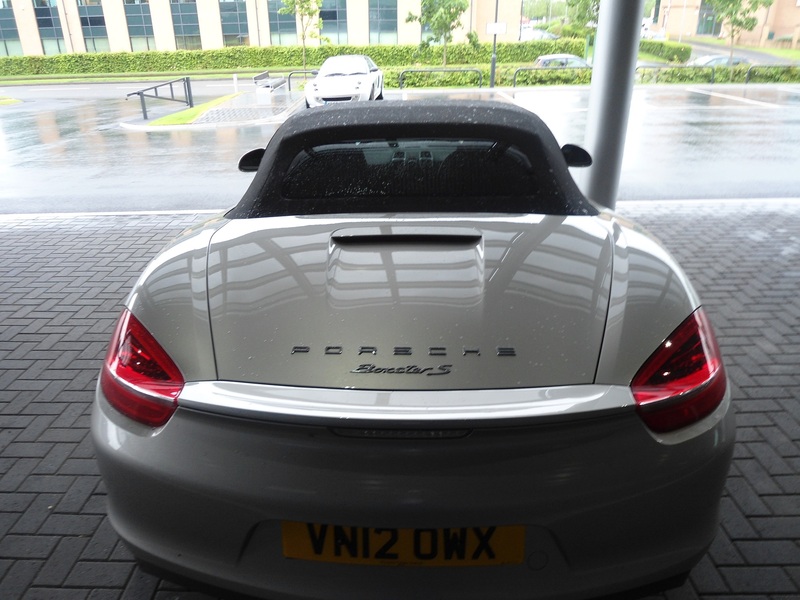 Now, Porsche have launched their third version of the Boxster and, oh yes, this is definitely third time lucky! Like any good plan, finally it has all come together. Long gone are the push me/pull me design ways and in their place is a strikingly good looking car. It takes everything that was great about the Carrera GT (Porsche’s last supercar with a super price of £300k upwards) and shrinks it down into a more affordable package. The wheelbase of the Boxster is longer, meaning that the distance between the front and rear wheels has been stretched but not in a cartoon like way. The car is wider with the windscreen being set at a more streamlined angle and there are now bigger side vents which all add up to make the car look junior supercar-like. 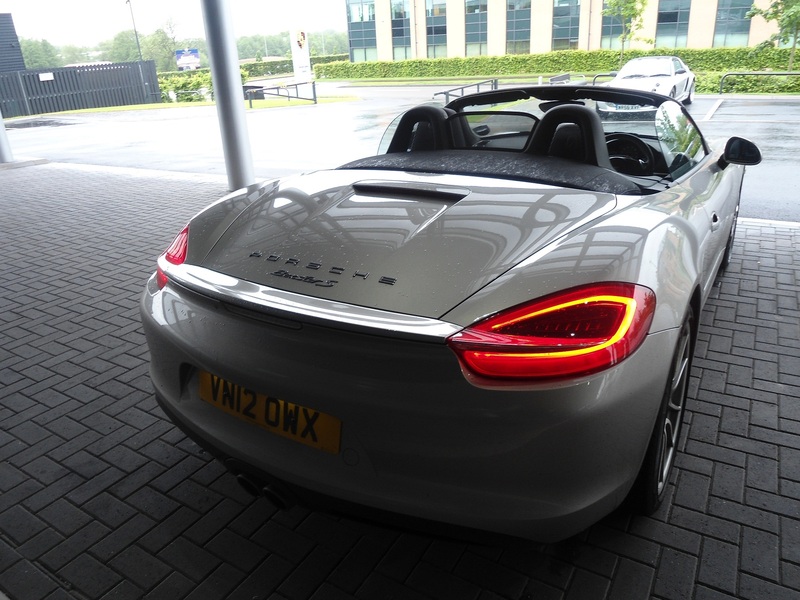 Looking at the Boxster from the front, it’s business as usual but with headlights that are more vertically set, featuring bi-xenon headlights in the model we tested. How manufacturers, at this level, still have the gall to charge you extra for xenon headlamps is beyond me, a little rich too. But then, that’s exactly what Porsche is! Moving around to the rear of the car and the design changes become more apparent with stylish rear LED lights that give the car a nice signature look at night. The rear spoiler is neatly integrated into the lights and extends automatically at speeds above 75 miles per hour. In other words, you may as well have a big sign above your head to tell the Police that you’re speeding! However, you can extend it manually at the flick of a button (see, I’m giving you your excuse already)!! Finally, praise the Lord, Porsche have given the Boxster the interior it deserves! Not that the previous generation cars were sloppy but the quality was lacking somewhat and it never felt like it was particularly well designed or worthy of the car. This new model takes much of its inspiration from the current 911 interior, not a particularly bad place to start when you consider that model has a starting price of £73,410. It shows too with an interior that is much improved in terms of quality and layout, with a striking centre console that is set like a ski slope and looks like the front of a Vertu mobile phone handset. It all adds up to a cosseting interior that is more than worthy of the price of the car. 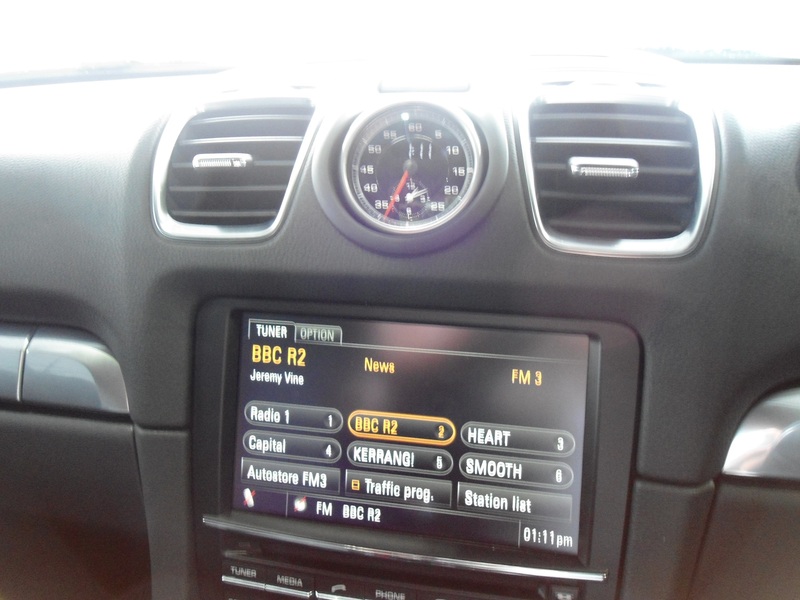 The only downside with all the buttons on the centre console is the amount of time you will need to spend in familiarising yourself with what each and every one does. A lot of manufacturers spend a lot of money investing in telematics systems that mean you use a touch interface to select minor functions when in the car. Porsche takes the opposite approach and simply arranges them out neatly on the ski slope, I mean, centre console. This means less navigating through menus and sub menus to turn on your heated seats but does give rise to an awful lot of buttons which can be intimidating on first sight. 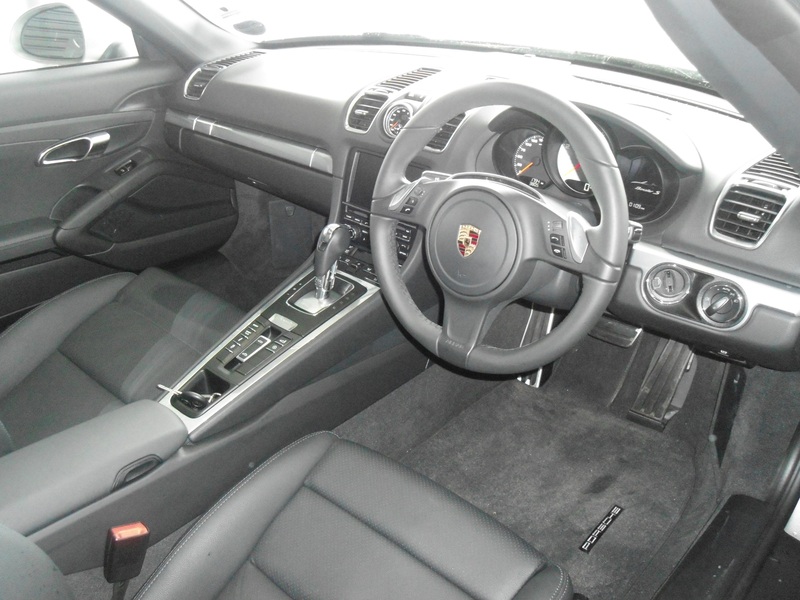 Being Porsche though, they all operate with a nice quality soft-touch action. If you order your Boxster with the optional satellite navigation, to save constantly looking at the display in the centre console, a miniature map pops out on the right hand side of the instrument binnacle, allowing you to focus on the journey ahead. It’s the simple things! 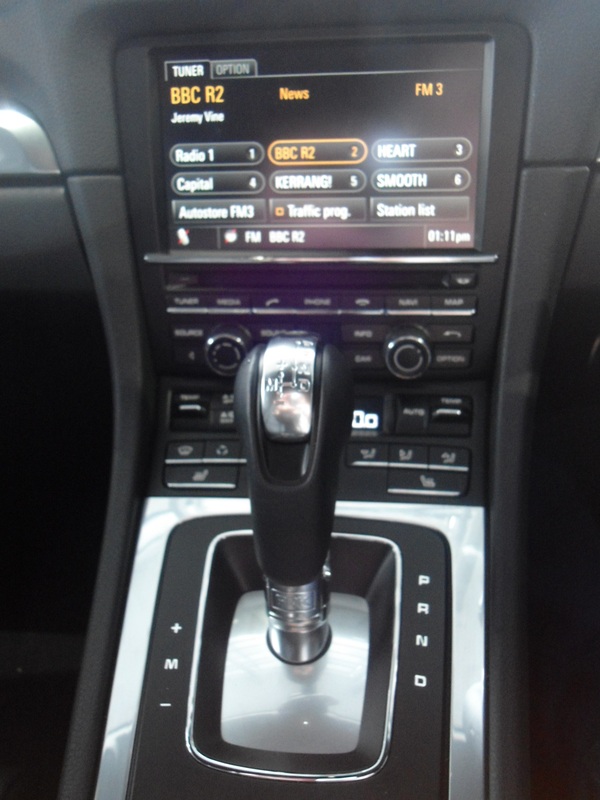 As this is a Porsche, all the controls and dials are laid out perfectly and the use of the customary sans serif typeface graphics make everything clear and easy to read on the instruments themselves. The driving position is spot on too with perfect pedal layout and steering wheel that adjusts for midget or giant. The road ahead is displayed in ‘widescreen’ thanks to an extra wide windscreen, which all in all just makes you want to turn the key and listen to that flat six burble. Only joking! The first thing that hits you as you wake the flat six from its slumber is the quick burst of revs as it starts! It instantly gives you goose pimples and hairs that stand to attention. The sound is deep throated and powerful. That’s the thing with sports cars, the engine sound is so integral to the car that it does make me wonder how electrical cars will ever get on with their eerie silence. Anyway, I digress. 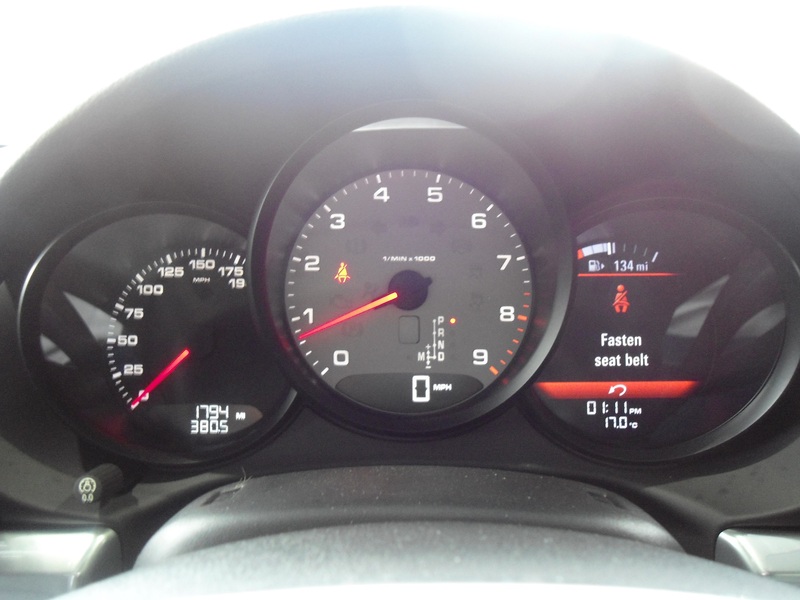 In this review, I had the 3.4 litre flat six engine (which is the most powerful engine currently on sale with Boxster), offering 315 brake horsepower giving 0-60 mph in 5.0 second dead with a top speed of over 170 mph and weighing only 1.6 tonnes. I was fortunate enough to test the semi-automatic gearbox version which Porsche fondly refer to as the Porsche Doppelkupplung, or PDK (thankfully) for short. I think Porsche may have inadvertently invented a new drinking game with this; how many drinks does it take before you can no longer say Doppelkupplung?! Despite its lengthy name it works exceptionally well providing instant gear shifts with a tasty blip of the throttle when changing down gear that just makes you want to seek out tunnels just for the sheer hell of listening to that wail! So, it sounds great, changes gear great and then goes the whole hog and scores a perfect ten with the way it drives. This is a textbook car in how to make a car ride well but also handle exceptionally well, turn the wheel and the car’s nose instantly darts into where you want to go. It all just feels so responsive, see a gap and you can fill it instantly, see a corner and you can fling it round. Combine this with an engine that provides power in whatever gear you are in and quick progress is effortless. This is a car that seduces you with its charm and naturally makes you feel like the king of the road and ready for any situation. I might also add that it is a car that makes losing your licence effortless as well, with so much power on top and a wonderful noise that accompanies every gear shift, it is all too easy to let the car sing all the way to 8,000 revs per minute. But do so in third gear and you will be over 100 miles per hour, not even the spoiler excuse I told you about earlier will get you out of that one! This could well be the most practical sports car on sale, you get not one but two boots, one in each end as it were! The front boot/bonnet provides ample room for a weekend bag or two and the rear boot (which sits on top of the engine) is deep enough for some clothes or enough to keep your takeaway warm on the way home! It is only a two seater but accommodation is club class rather than economy with lots of leg room and a graceful entry and exit is easy as the car does not sit too sports-car low. As for headroom, with the roof up (even if you are 6 ft) you will be comfortable and with roof down, well you can even give a giraffe the ride of his life! 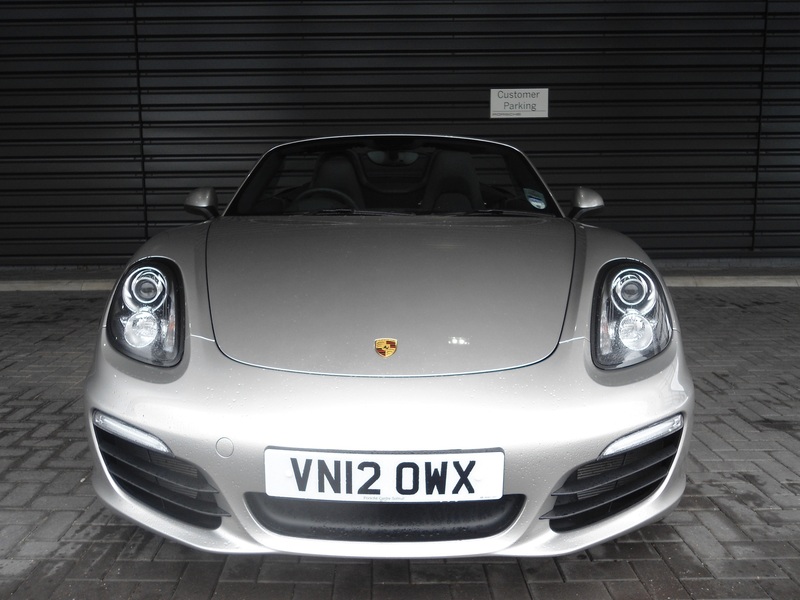 The Boxster has always enjoyed class leading second hand values simply because it is a well-made sports car that is brilliant at what it does. 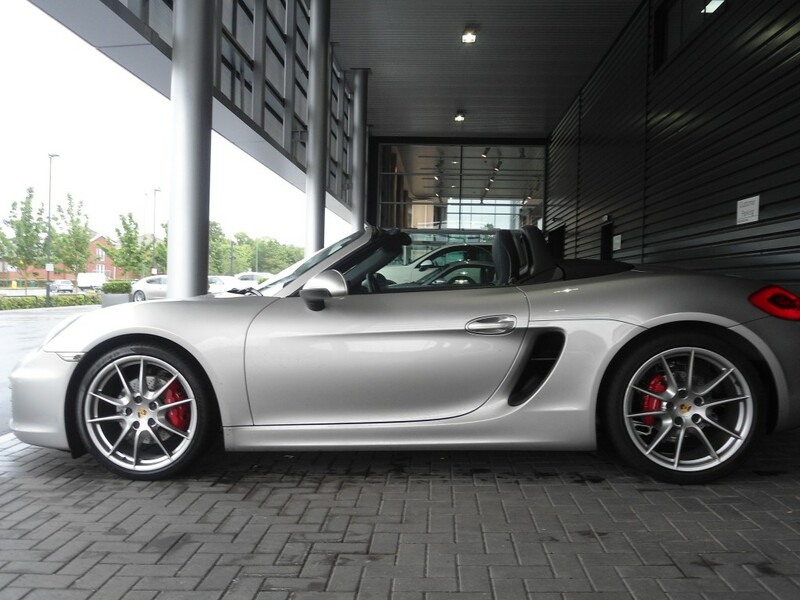 This new one will extend this further as it now compliments this brilliance by being the best looking Boxster yet. Ownership costs are fair for a sports car too and if you restrict yourself from listening to the engine sing, you could even eek out 30 miles per gallon. 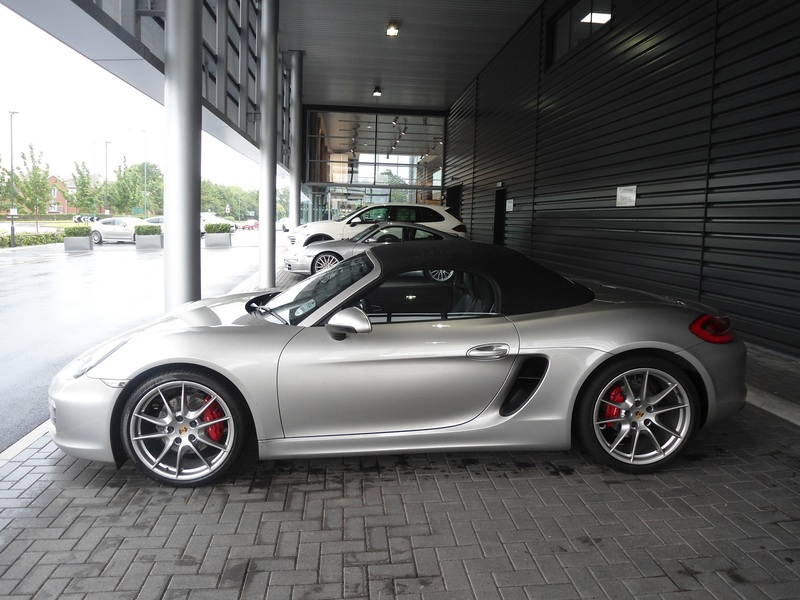 For what this car does, the entry level Boxster (at just over £38,000), is relatively, and I stress that word, a bargain. Don’t go crazy with the infamous Porsche options brochure and it will retain most of that when you come to sell too. If you want the best pound for pound sports car on the market today, the new Boxster is the car. It does everything so well that it is hard to fault in any discernible way. The best really has just got better. 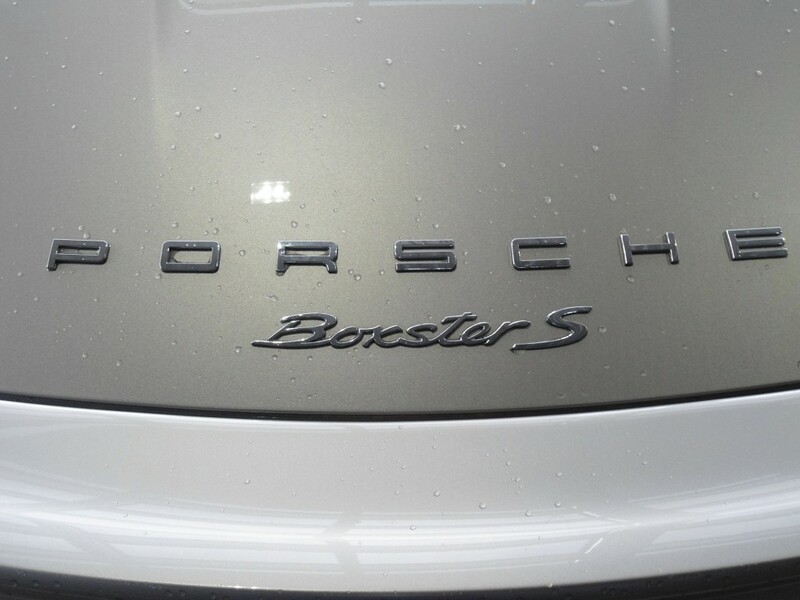 Please do not hesitate to contact us for more information about the Porsche Boxster. Pros: Just look at it! 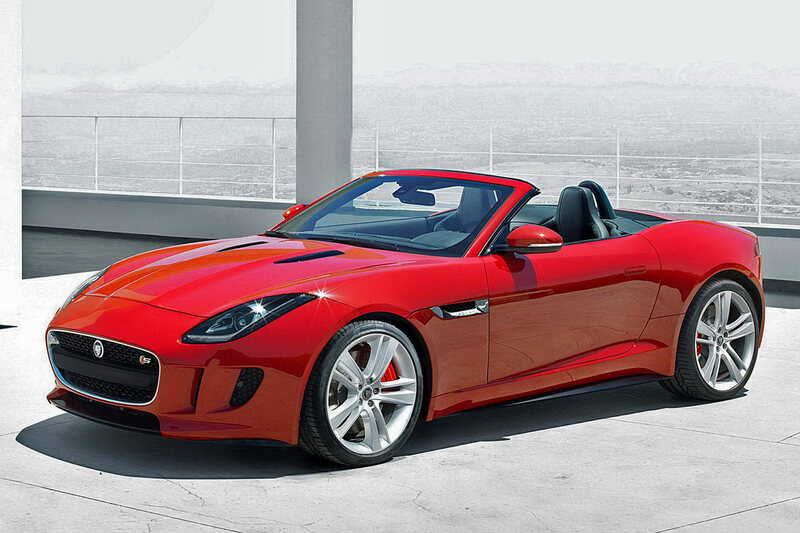 Cons: Expensive when compared to everything that the Boxster does. Pros: Sure footed Quattro grip with strong performance. 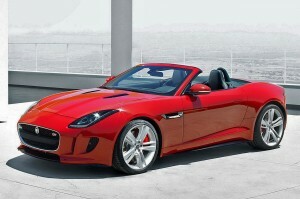 Cons: Lacking in charm and does not offer much in the way of driver thrills. This entry was posted in Boxster, Car Reviews, Porsche and tagged Audi TTS, Boxster, car finder, car reviews, easiest way to buy your next car, Jaguar F-Type, My Car Coach, MyCarCoach, personal car expert, Porsche, vehicle consultants by Mr.CarCoach.. Bookmark the permalink.